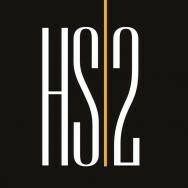 HS2 is an elite, full-service digital brand experience agency that transforms behavior and drives results. We offer integrated Strategy, Experience Design, Engineering, Audience Management, and Analytics and Insight services to Fortune 1000 companies and multi-national brands. HS2 helps leading B2B brands in manufacturing and distribution discover insights into their customer journeys and develop ways to provide service to their customers after the sale. We are experts in experiential commerce, with over 20 years of experience delivering responsive, mobile-friendly and effective content-driven eCommerce solutions. HS2 is a seasoned team of problem solvers and design thinkers. We foster an award-winning, healthy work environment that designers, architects, and developers cherish. Because our sprint team members have on average 15 years of experience, coupled with an employee turnover rate of less than 5%, our clients work with high-quality team members who continue to deliver value year after year.